Stern fans set sights on exciting tournament play, live music, booth signings, limited edition prints, comics and more! ELK GROVE VILLAGE, IL. and SAN DIEGO, July 16, 2018 — Stern Pinball, Inc., a global lifestyle brand based on the iconic and outrageously fun modern American game of pinball, proudly announced today its return to San Diego Comic-Con International as both an exhibitor and a second year partner of this massive event. 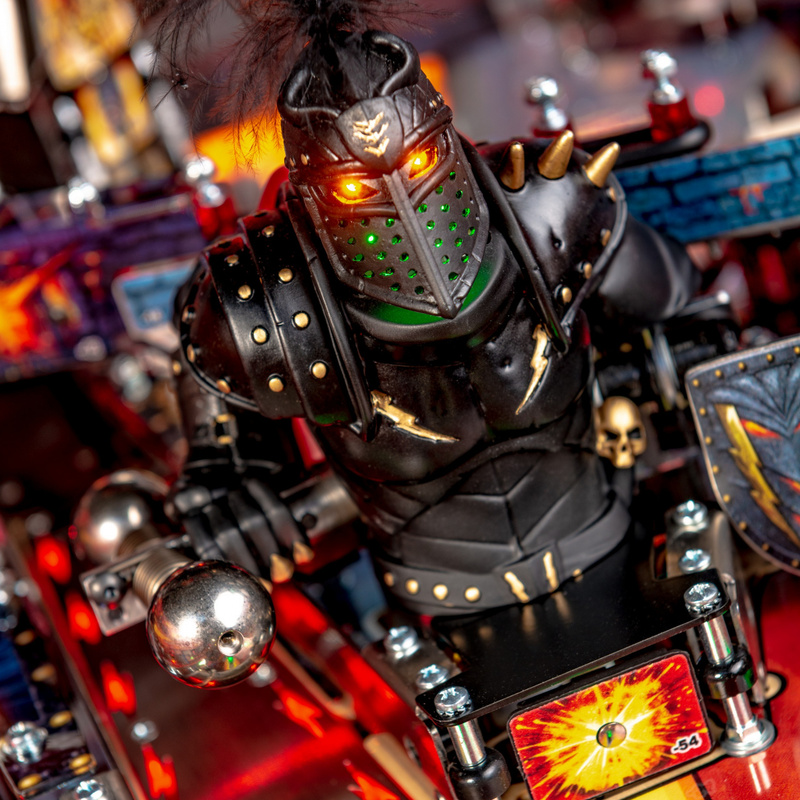 Stern Pinball is slated to have its biggest Comic-Con presence yet with limited edition show exclusives for its newest game, Iron Maiden, and the return of the Pinball Lounge at the Marriott Marquis. Attendees can find Stern Pinball with promo partners Nuclear Blast America and JSR Merchandising at booth #501 in Hall A of the San Diego Convention Center. Fans eager to meet Kerry King, Testament, El Hijo Del Santo and more are encouraged to pick up a signing schedule at the booth. Stern Pinball is also an official sponsor of Nuclear Blast America’s Comic-Con After Party featuring trash metal band, Testament. The show is slated to take place on Thursday, July 19th at the House of Blues. Tickets are available from Ticketmaster. Stern Pinball and Iron Maiden have teamed up to bring fans some exciting San Diego Comic-Con International 2018 show exclusives. Be sure to come by Stern Pinball’s booth for your chance to purchase the Iron Maiden Legacy of the Beast comic book (for $6.66 USD), Issue 5 of 5 with a special variant cover featuring artwork directly from the new pinball game. Fans can also set their sights on one of 100 available limited edition Eddy prints signed and numbered by artist Zombie Yeti(for $66.66 USD). Attendees will have their chance to play the hottest titles from Stern Pinball at Comic-Con International’s official Pinball Lounge located directly next door to the Convention Center at the Marriott Marquis Pacific Ballroom 14-16. Come with friends for the free play games and stay for the daily high score tournaments with prizes! Casual players are encouraged to stop by the Pinball Lounge between 10:00 AM and 7:00 PM on Thursday through Saturday, or between 10:00 AM and 2:00 PM on Sunday for free play. The Pinball Lounge is a great place to hang out, relax, and regroup while getting to play arcade-quality pinball with friends. Everyone is welcome to enter, but only the top four contenders will qualify to compete in the finals each day. Interested players who would like to take part in this high score tournament should visit the Pinball Lounge between 7:00-9:00 PM Thursday-Saturday or between 2:00-4:00 PM on Sunday for qualification. Finals will be held immediately afterward on those days (9:00-10:00 PM Thursday-Saturday and from 4:00-5:00 PM on Sunday). Each finalist will walk away with prizes. Twitch pinball super star, Jack Danger (AKA Dead Flip), will be live streaming all week from the Pinball Lounge. Come down to cheer him on or tune in from home.